On April 6th and 7th Gainesville hosted the 50th Santa Fe Spring Arts Festival. The festival features professional artists from around the nation who gather together to celebrate art and to sell their artwork. The festival also features a community section for local artists to gather and sell artwork. FHS Executive Director, Raul Villarreal, is also the director of the Spring Arts Festival. This year, for the first time, the FHS had a student art booth organized by FHS Student Ambassador Henry Johnston. The booth was decorated and arranged by Santa Fe student artists Mariana Ortiz (morticaz101@gmail.com) and Rodrigo Bianchi (rbianchileon@gmail.com). Several Santa Fe students submitted Hemingway related or inspired artwork. 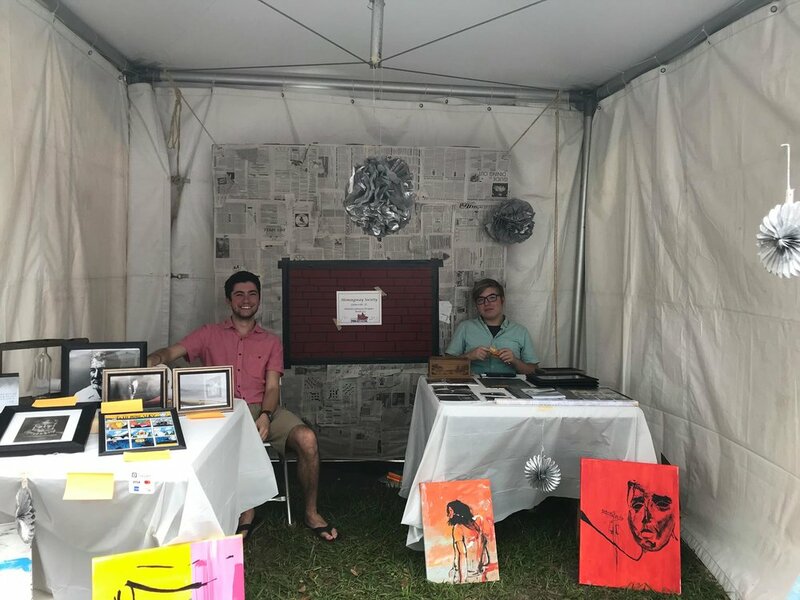 The booth was a success as students were able to interact with the local community about their artwork and Hemingway, while also selling some of their art submissions. 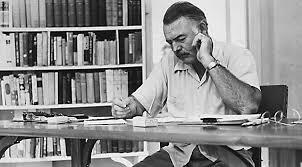 To submit your abstract, you must be a member of the Florida Hemingway Society. Until payment options have been added online, which should happen this month, you can have temporary membership by responding to this email. There are travel options at all prices ranges. See the information below for a sample price breakdown. For more information, see the attached flyers for conference overview and schedule/pricing, and please contact rebecca.johnston@sfcollege.edu with any questions. In October of 2018 the founding members of the FHS met at the Spring Arts House of Santa Fe College to form the Florida Hemingway Society. Board positions were confirmed, bylaws were discussed, and friendships were forged. The FHS founding members began working on plans for 2019 including representation at CEA in New Orleans, in Cuba, and at the Fitzgerald conference in France. Plans were also made to include more members from the arts and other non literary fields. The initial roots of the Florida Hemingway Society can be traced to the Hemingway Between Key West and Cuba conference held at Santa Fe College in the summer of 2017. The conference, which was organized by Raul Villarrael and Michael Curry, was a tremendous success and we look forward to the possiblity of future conferences organized by Raul and Michael.